What is it? A little bit more than that video of baby goats in pyjamas springing from tree stumps and hay bales, Parkour is a type of physical training that will develop movements intended to help you escape in emergency situations. Underpinning the scary- and mad-ness, is a Cartesian-esque philosophy of mind-body duality that aims to strengthen self understanding and altruism. Oof. Pros: It’ll look super impressive on your Tinder profile. Cons: Your mum really won’t like it. How to get involved? 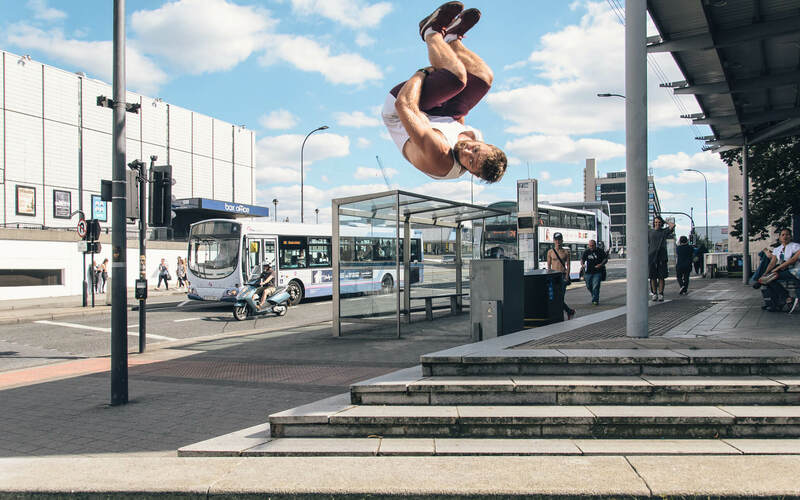 Sheffield Parkour and Freerunning meet three times a week and welcome everyone from beginners to experts. What is it? Roller Derby is a fast-paced, full contact team sport played on roller-skates. The aim of the game is to get one of your players – the jammer – to lap as many opposition players as possible. The only problem is that the opposition are trying to do the same thing whilst also being able to block off your jammer, so in effect both teams play off ense and defence simultaneously. Got it? Pros: It’s bags of fun and provides a full aerobic workout. Also, you can pretend whiz around pretending that you’re Ellen Page in Whip It. Cons: You’ll need to be double-hard because you’re likely to get a few bumps and bruises at some point. How to get involved? Head to the websites below, have a read and see which team you fancy trying out for. Th e fi rst session with the Inhuman League is free, while Sheffi eld Steel Rollergirls regularly have new intake sessions – also free. What is it? If you’re looking for something more on the traditional exercise side of things, but still outside of the gym, a boot camp-style workout might be for you. They vary from group to group but generally involve a set period of weeks with regular high intensity group workouts, sometimes combined with lifestyle and diet coaching. Pros: There’s no excuses, just sign up and it’s all sorted for you. 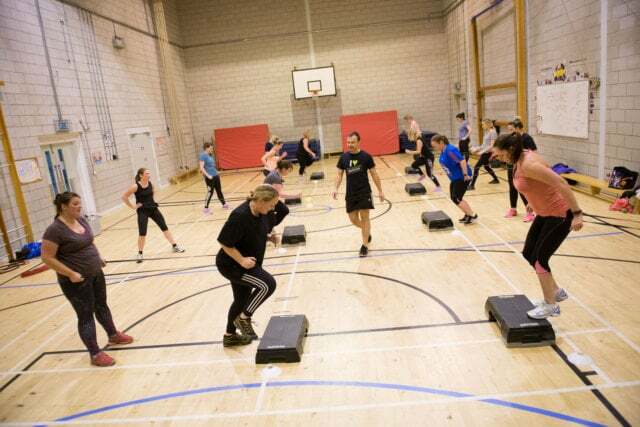 How to get involved: One popular boot camp Body Transformer Bootcamp is running an introductory offer for 10 women to sign up for 3 weeks for only £31, including coaching and meal plans at their Tapton and Meadowhead school classes. What is it? 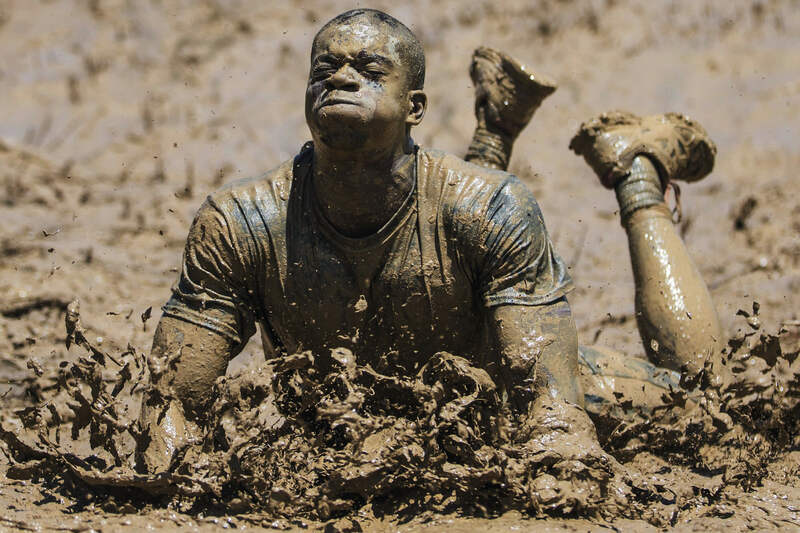 Held annually all over the country, Tough Mudder is a gruelling ten mile twenty-plus obstacle course not for the faint hearted. Th e event will be held next in Yorkshire on 28th & 29th July at Broughton Hall grounds. Renowned for its beautiful scenery, the rolling Yorkshire Dales are the perfect backdrop for some Mudder action. Get your pals together and go for it! Pros: Every participation ticket includes a t-shirt and a pint. Exercise never looked so good. Cons: If you don’t like getting down and dirty when you break a sweat, this isn’t for you. How to get involved? Head over to the Tough Mudder Offi cial website for all of the information you need to kick-start your team towards victory ahead of the event. What is it? Popularly hailed as the climbing capital of the UK, Sheff has got it all going on when it comes to climbing. For those of you who don’t know, bouldering is a thrill-seeker’s rock climbing, where the peaceof- mind rope that catches your fall is replaced by, well, nothing but a squishy matt. 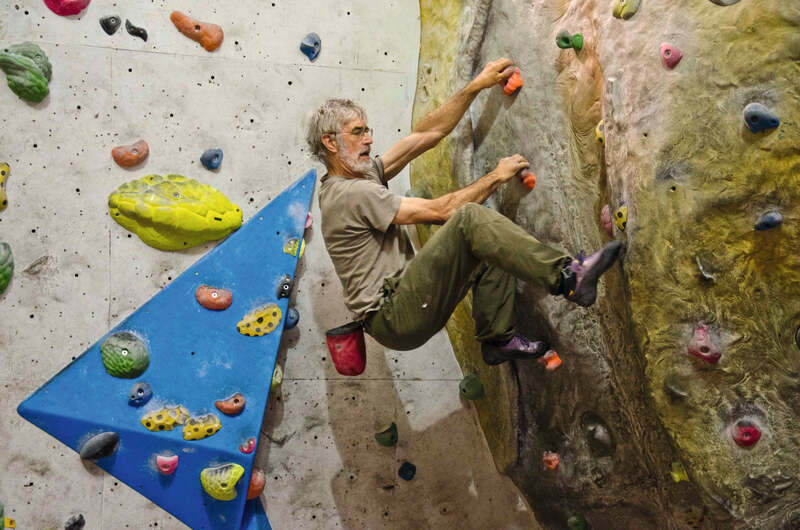 Pros: Bouldering combines strength with self-belief, and is one of the best exercises your body can do. Cons: You’ve avoided the annoying gym-buff s, but instead you’re confronted with lithe, muscular superhumans able to hold-up their own body weight by defying the law of gravity. How to get involved? Th e Climbing Works off ers a range of activities for all ages, from Rock Tots and Rock Kids to Adult Courses. What is it? Developed within Israeli’s elite hostage rescue unit, KAPAP (Krav Panim El Panim) is an acronym for face-to-face combat. 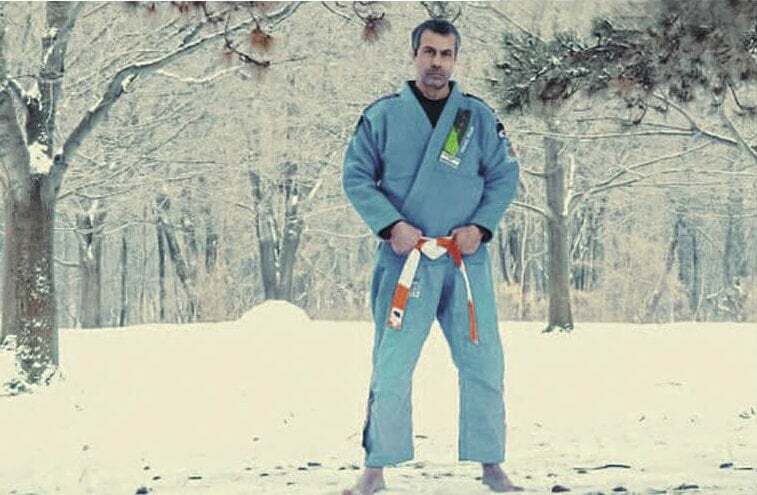 The technique combines hand-to-hand combat, a close-quarter battle system and self-defence. Pros: The success story of every martial arts-orientated film, ever. Cons: You may be required to use your skills to save the world at some point. How to get involved? Head to KAPAP Sheffield on Little London Road to see what they can offer you.